Essential concepts, definitions and explanations you need before you sign on the dotted line. Are you a game developer sitting on an offer from a publisher? Are you a publisher facing a negotiation with a particularly important developer? 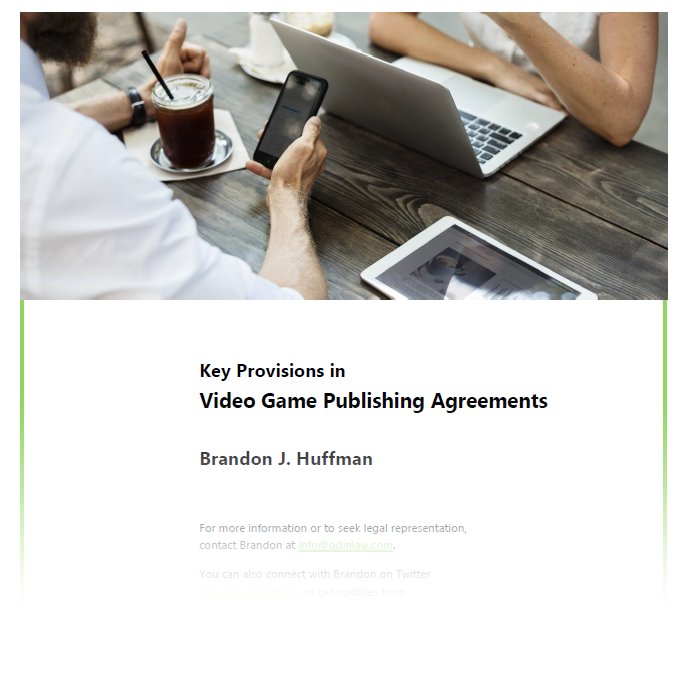 This guide provides 8,000+ words detailing the most important provisions in game publishing agreements. It will be FREE to download from this site. I am hopeful it will provide some insight into one of the most important pieces of paper for any video game. Get the publishing agreement information you need by downloading the free eBook now!